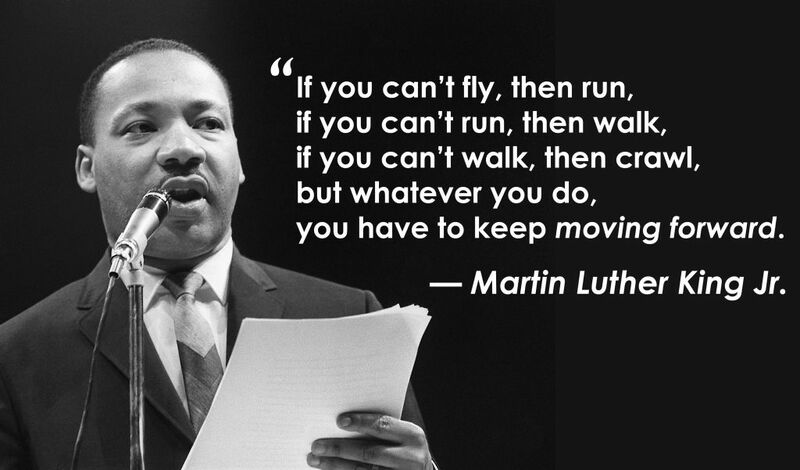 Today is Martin Luther King Jr. Day. As such, I am playing “banker” and taking the day off :). Sometimes I think of people like Martin Luther King Jr. and wonder if they had any inkling of the impact they were making in history. Did they realize how iconic they would become? Would they realize a national holiday would be named after them? Did they have any idea that they would become a symbol of something amazing? I would bet you that most did not, at least not initially. With that in mind, continue to fight your battles and trudging along to make your own difference, even if that is “only” in the lives of your family members. You never know what kind of iconic difference you are making, and neither do most of the people around you. We all impact the lives of others, for better or worse. Make your impact better.